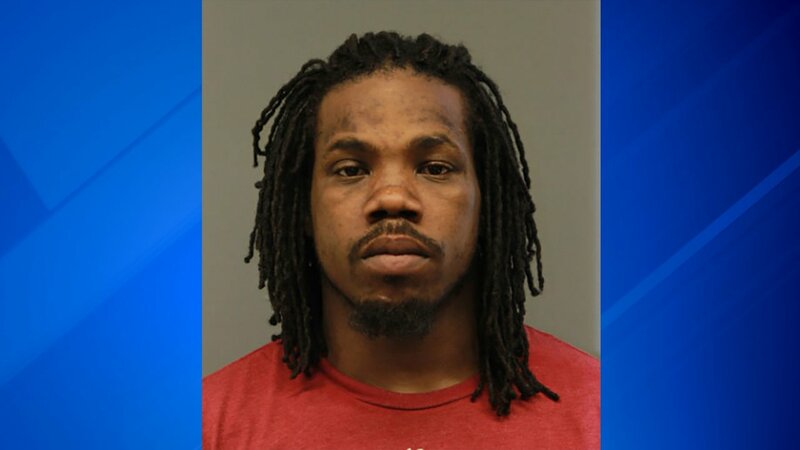 CHICAGO (WLS) -- A man has been charged after Chicago police said he hit an officer in the head with a vase in the Woodlawn neighborhood Wednesday morning. Officers responded to a call of a domestic battery in the 6400-block of South Kenwood Avenue at about 12:35 a.m., police said. Police said that 26-year-old Forrest Dix has been identified as the man who battered a 32-year-old woman and struck a responding officer with a vase. Dix was arrested in the 7500-block of South State Street at about 3:20 a.m., police said. While investigating, police said Dix was found to be in possession of hundreds of counterfeit DVDs. Dix has been charged with felony counts of aggravated battery/great bodily harm to a peace officer and unlawful use of recorded sound and a misdemeanor count of domestic battery. He is scheduled to appear in bond court on Thursday.